Sundays usually mean relaxing at home or brunch with a little bit of shopping. I wear an outfit light on accessories and rich in color when it's the latter. The Kiyonna Posh Peplum Top was the perfect item to end the weekend. Normally I wear peplums in a formal way (think: pencil skirt, heels, and sparkle). Today I dressed it down with a pair of boyfriend jeans and wedges. I love the relaxed yet pulled together feel of this look. It's not too complicated and appropriate for the best accessory of them all, a mimosa with extra champagne. 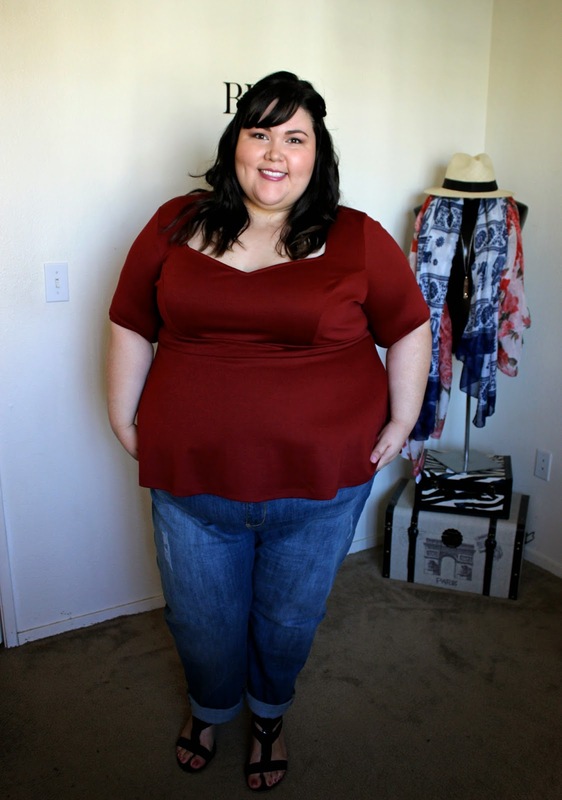 Thanks to Kiyonna for sending me the beautiful peplum top. As a member of Kiyonna's Blogger Brigade, I will share a piece from their shop every so often. 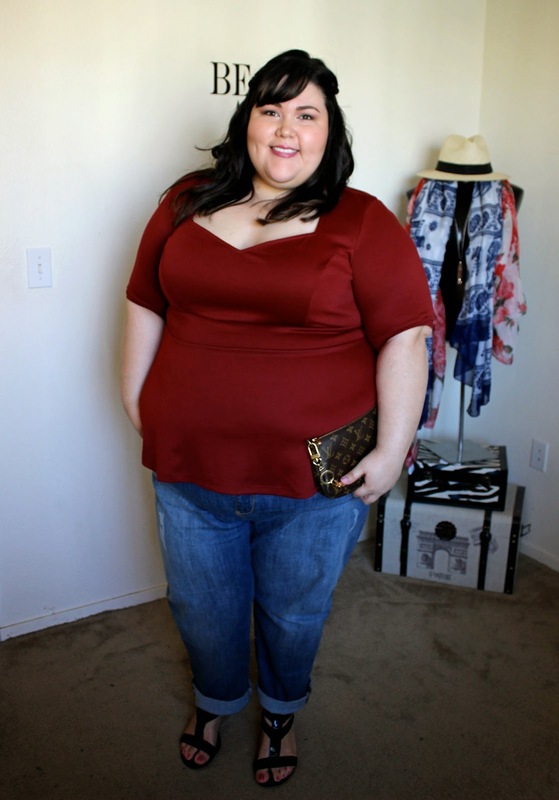 I adore their Blogger Brigade and Real Curves movement. From bloggers and brides to staff members and customers, the program features styles worn by women of all sizes. It's a beautiful thing considering many plus size shoppers, especially those that shop online, want to see plus size fashion on a body similar to their own. Kudos to Kiyonna for making this happen! Kiyonna posh ponte peplum top // Lane Bryant weekend jeans and patent wedge sandals // Louis Vuitton Pochette Accessories.